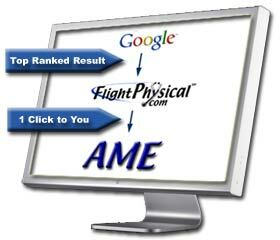 FlightPhysical.com is top ranked in Google and all major Search Engines among millions. Our acclaimed pilot section brings steady traffic, and we are highly experienced at helping AMEs use the Internet effectively since 1999. 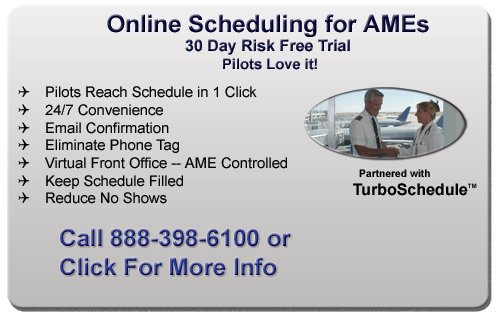 See Endorsements and Testimonials.... We deliver thousands of pilots to AMEs every week. Update your free listing with us and get noticed. How FlightPhysical.com serves AMEs. How to get more pilots? View my free web site? Update address and phone info?